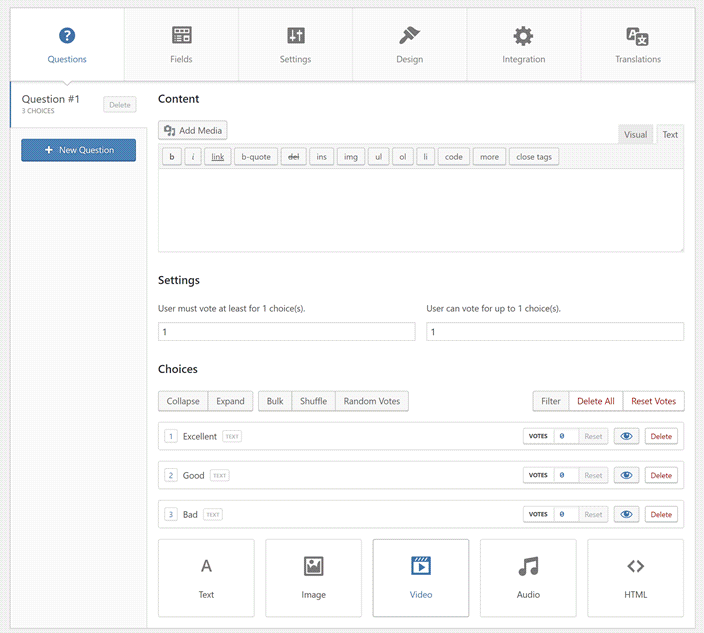 Everytime you create or edit a poll, you're actually interacting with an interface called poll editor. This interface was designed to make your experience enjoyable and time wise. This tab allows you to manage questions and choices of your poll. 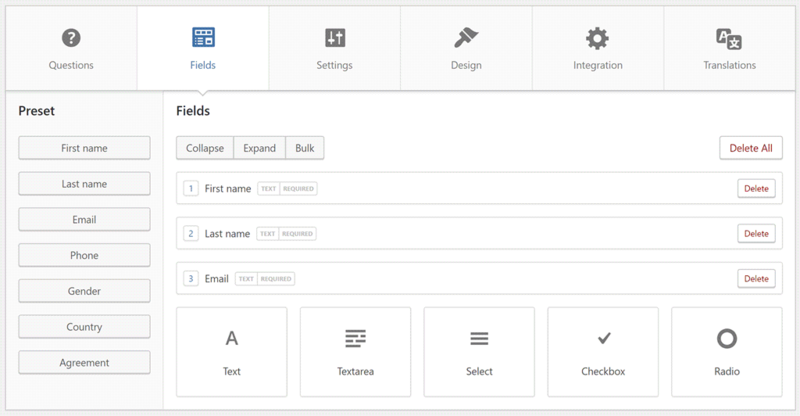 Managing custom fields is done through this tab. 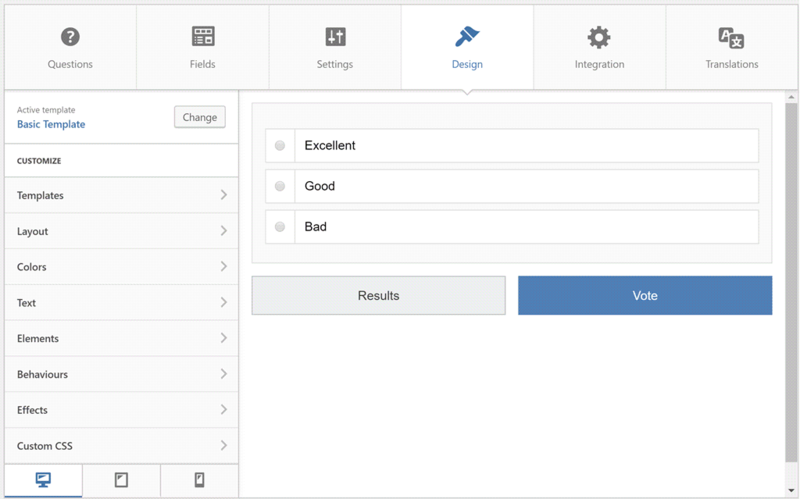 In this tab you'll find the main settings of your poll like limitations, choices and results sorting and more. Controlling poll appearance is possible through this tab. 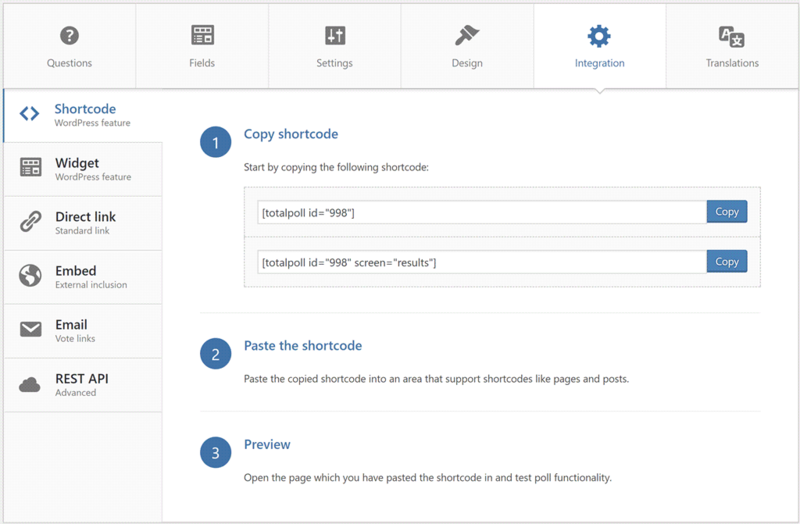 From this tab, you'll be able to integrate your poll using available methods like shortcode, widget and more.